For twenty-five years, readers have enjoyed watching Drover—Hank’s trusty sidekick—try to finagle himself out of every dangerous situation that arises on the ranch. But what happened before Drover came to the ranch? 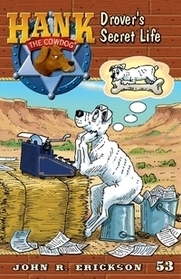 Well, it’s all here—from his early days as runt of the litter through his fruitless search for a job to his ultimate position as Hank’s right-paw man.